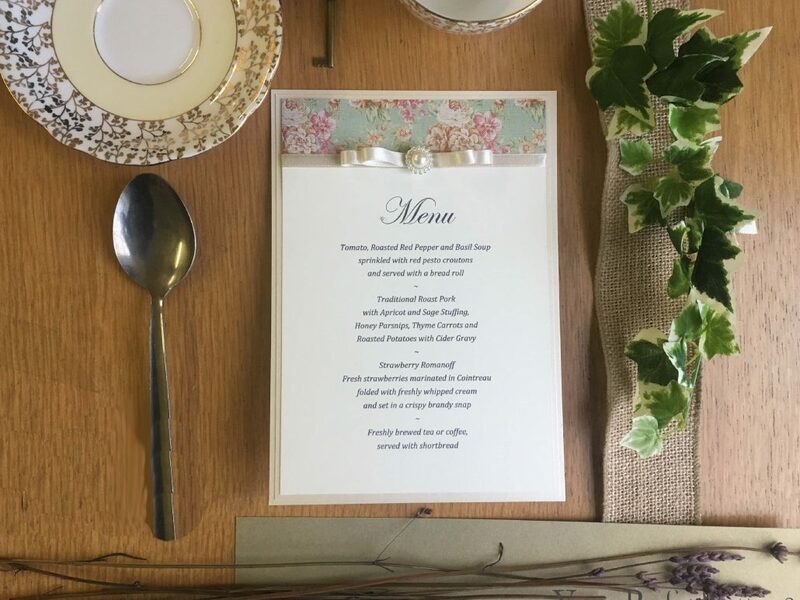 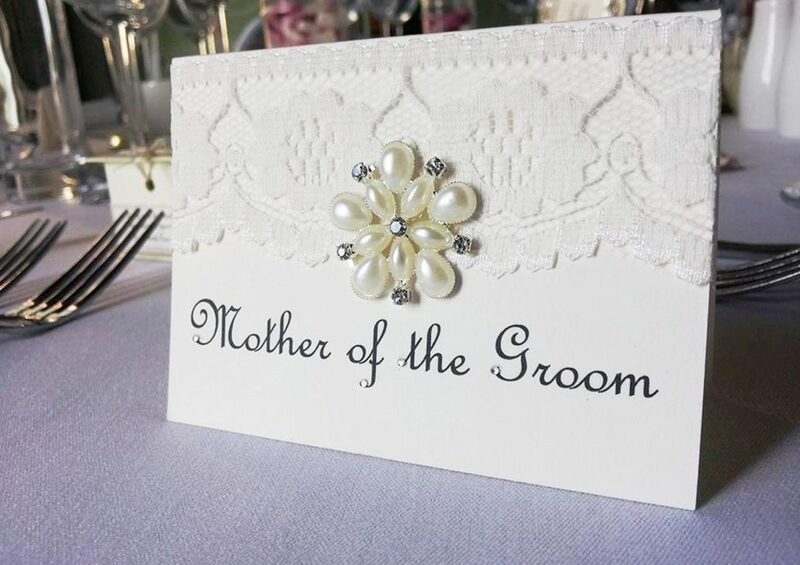 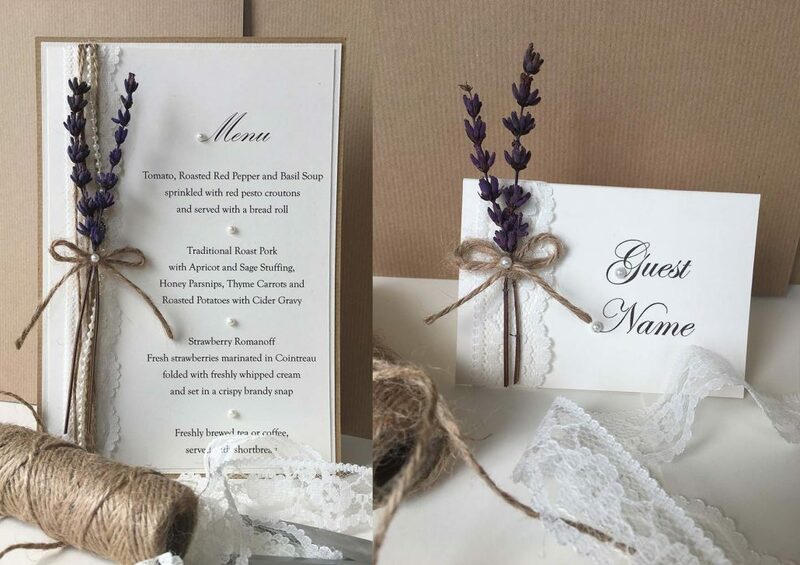 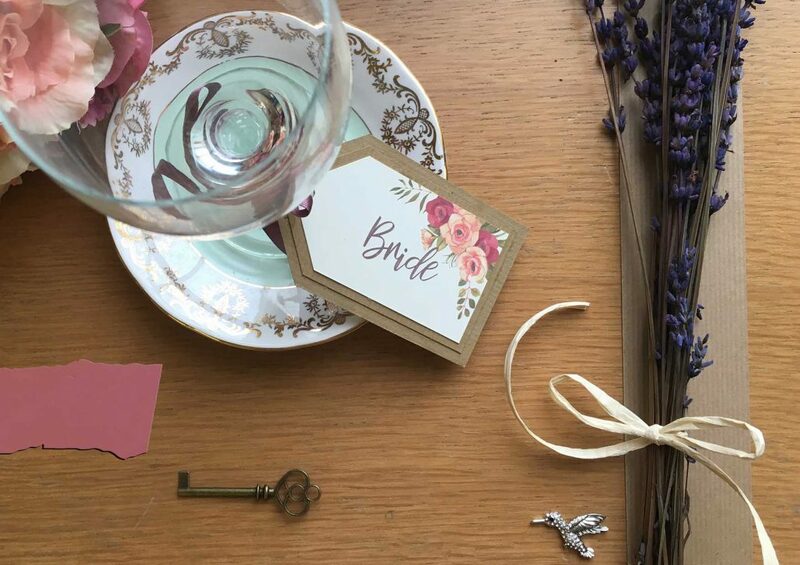 At Your Perfect Setting, we design and make beautiful bespoke handmade wedding stationery which is all created in-house under the same roof as our sister company Georgina Scott Bridal. 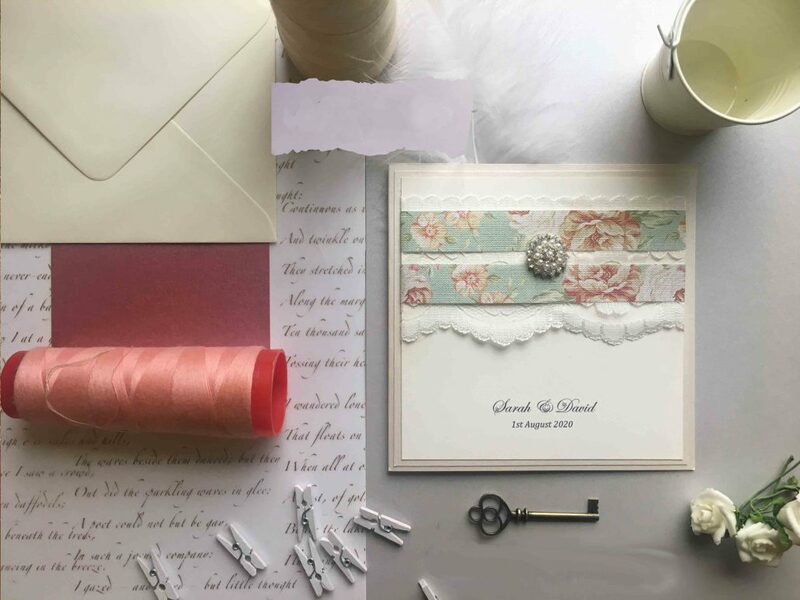 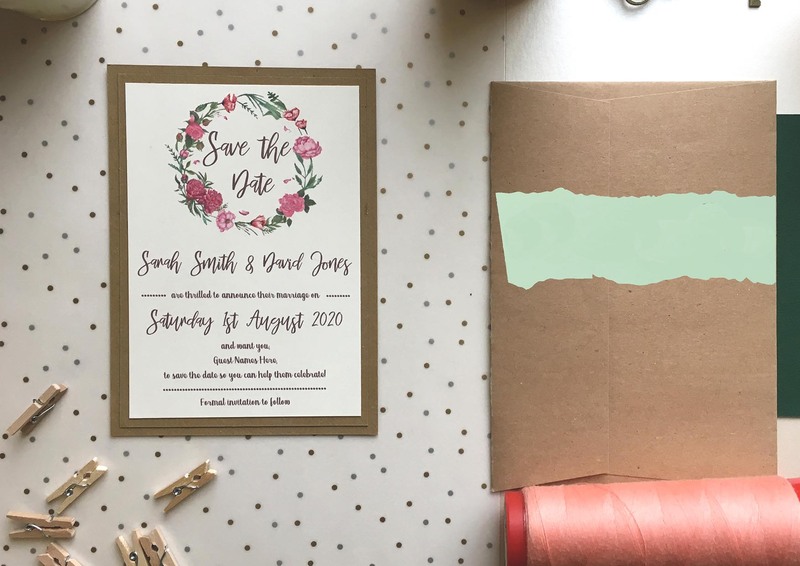 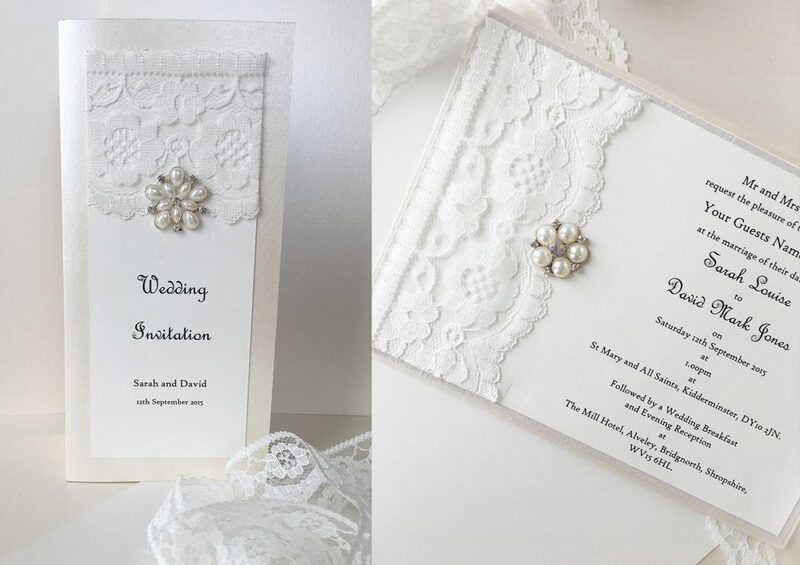 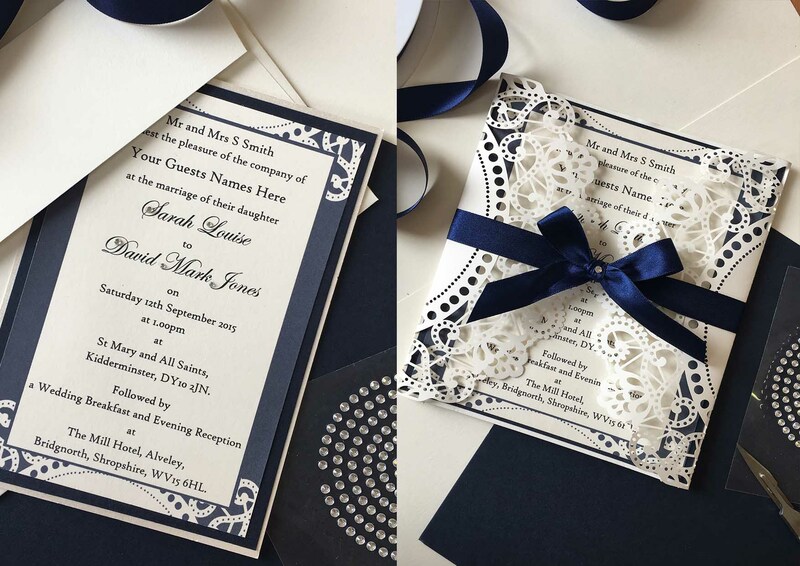 With many years experience in this industry, we know how important your wedding stationery is and how much of a big part it plays on your day. 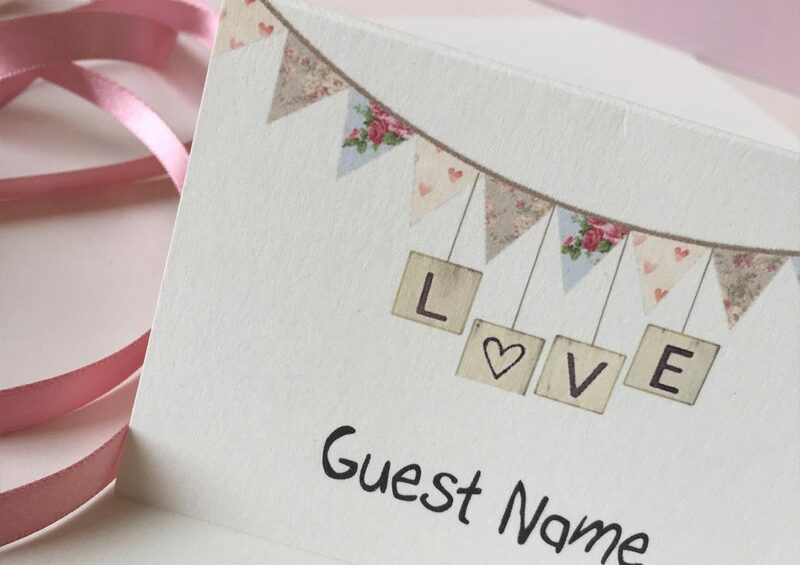 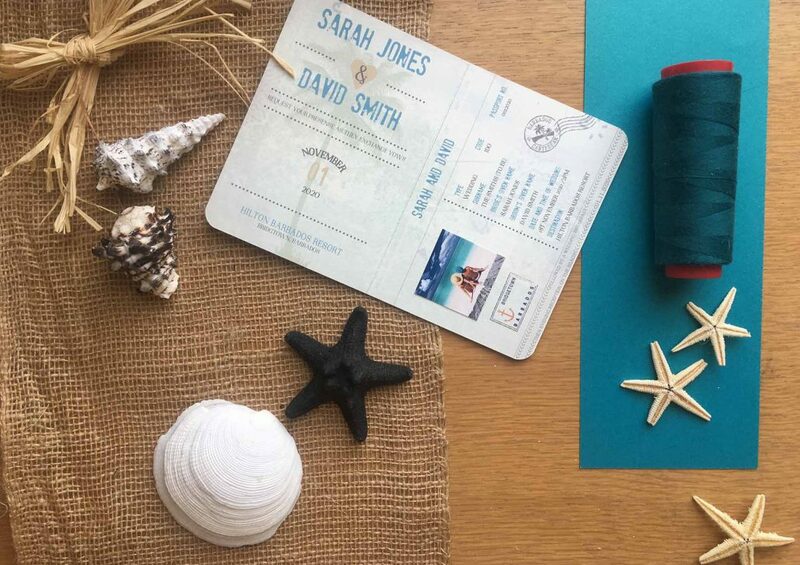 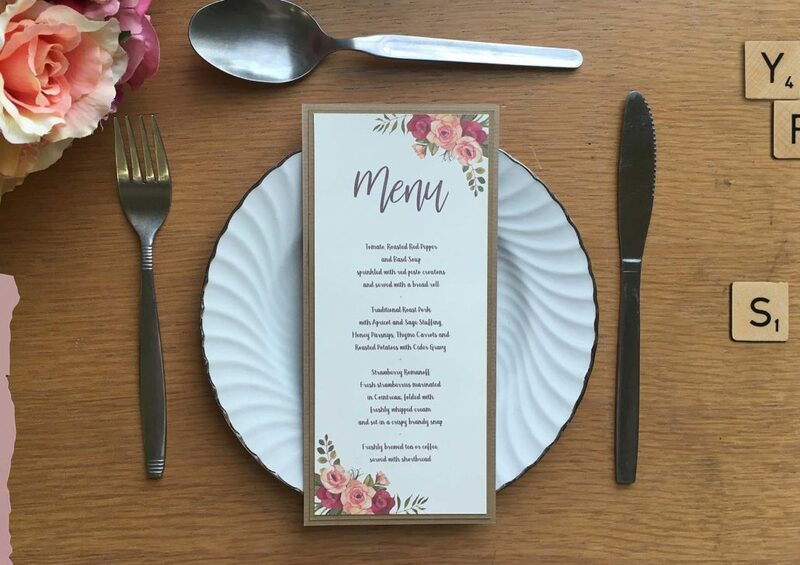 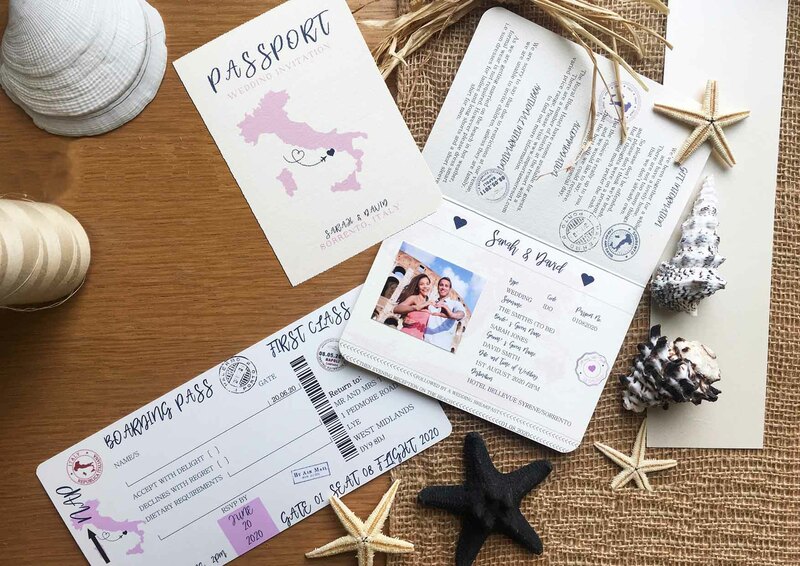 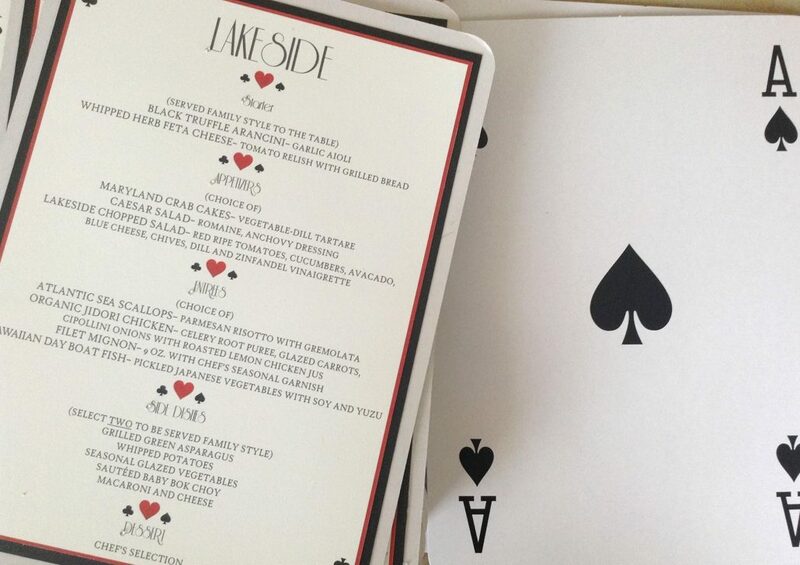 From giving people a first impression of what your wedding theme will be like with your invitations, to adding the finishing touches at your wedding breakfast. 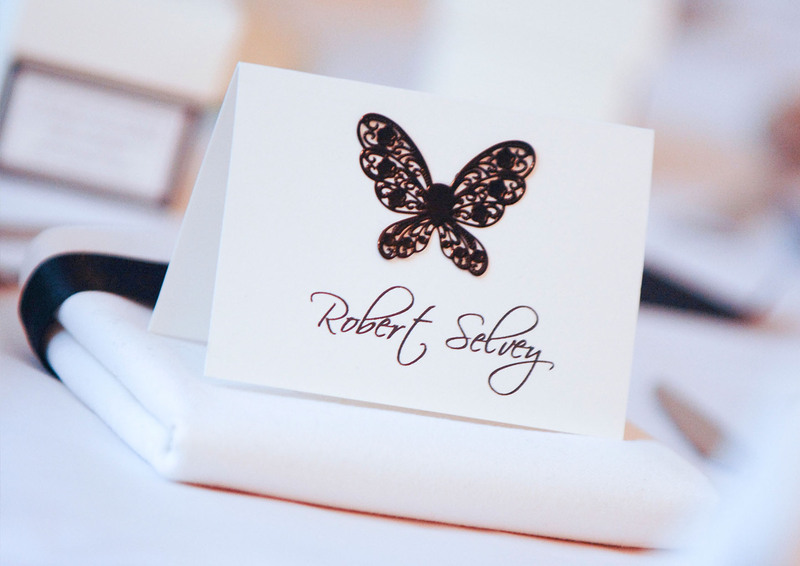 All of our stationery is created around you and what you envision. 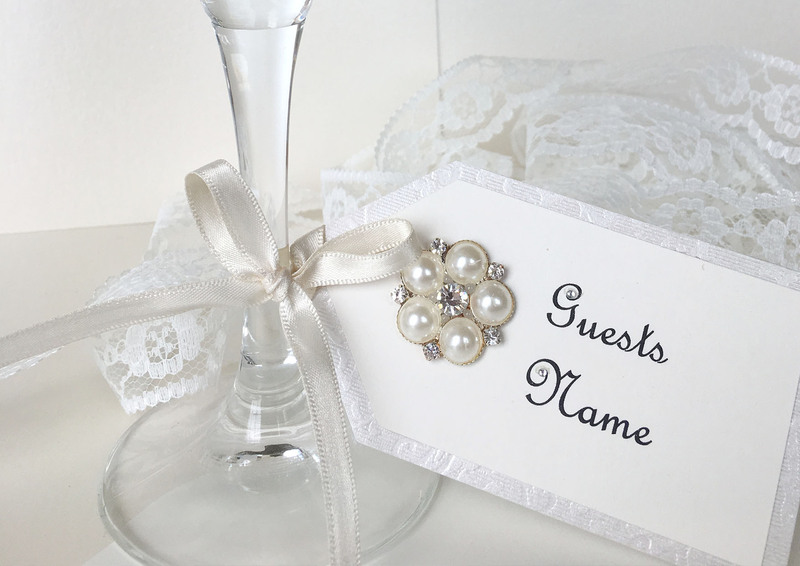 You are more than welcome to come to us with your own ideas or you can use the many samples we have in store to give you some inspiration. 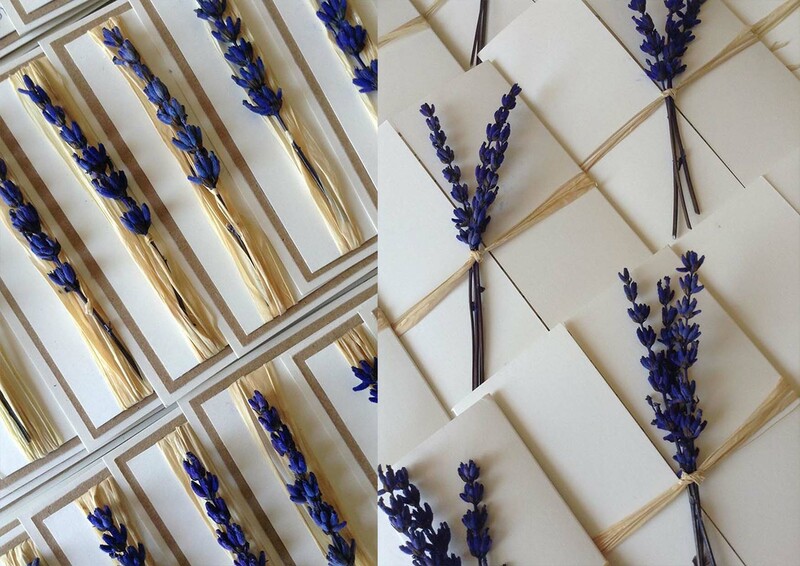 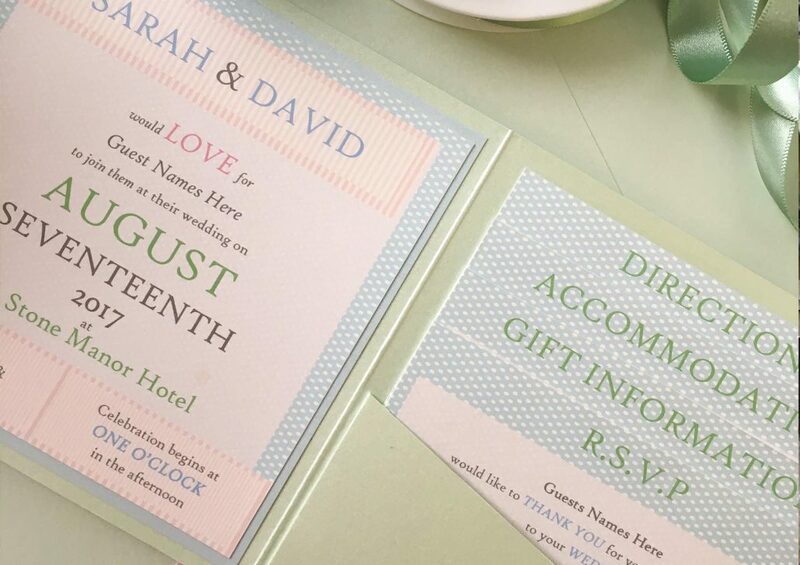 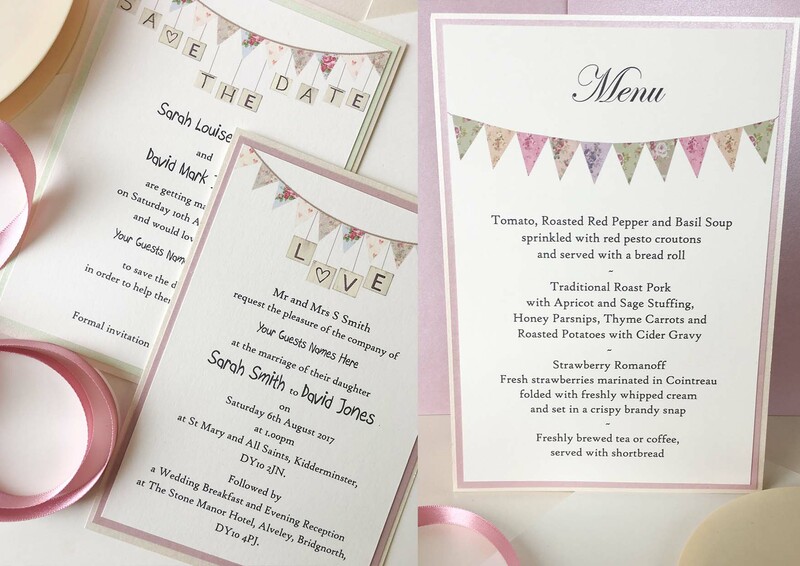 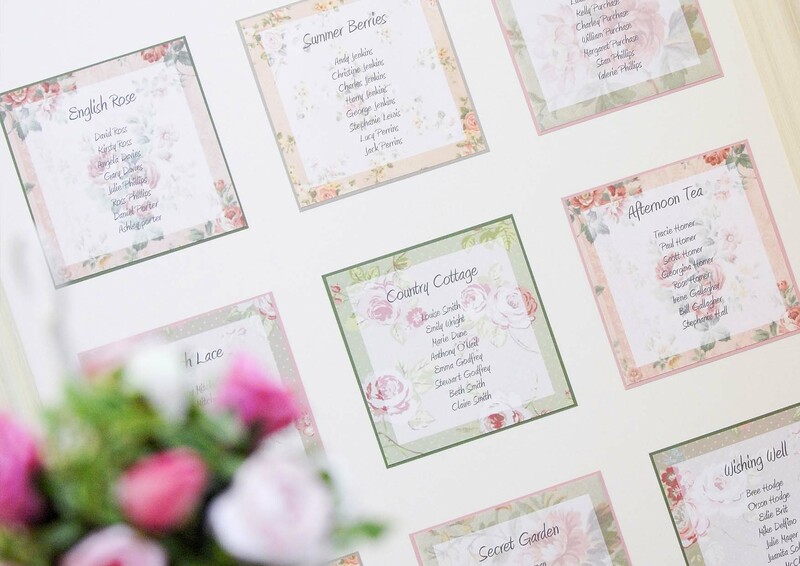 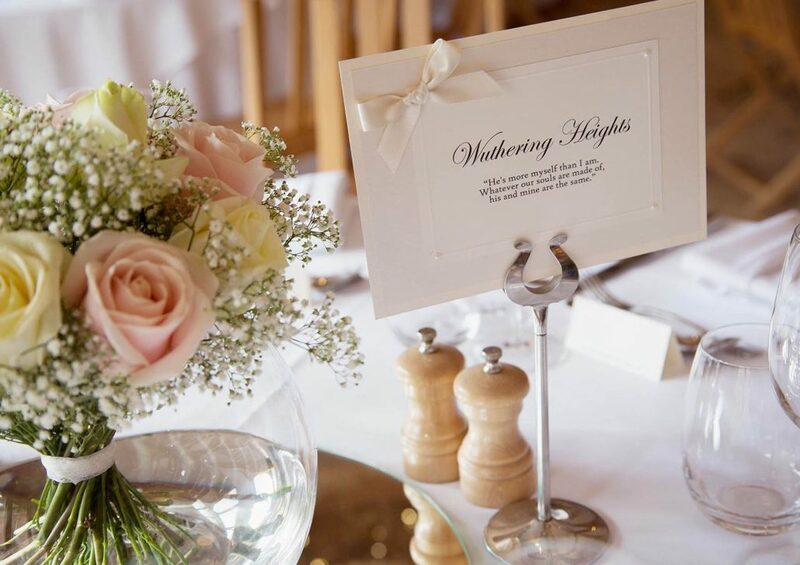 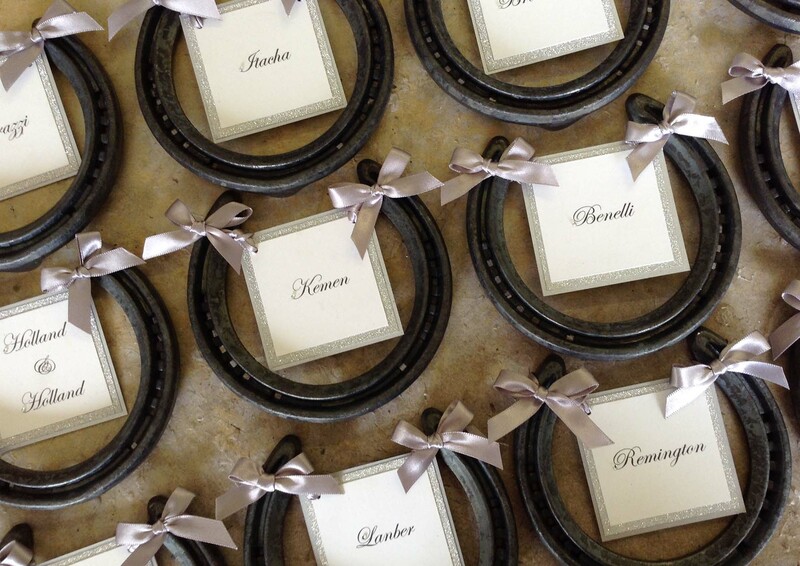 At Your Perfect Setting, we love the excitement of seeing different themes and ideas being put into Wedding Stationery. 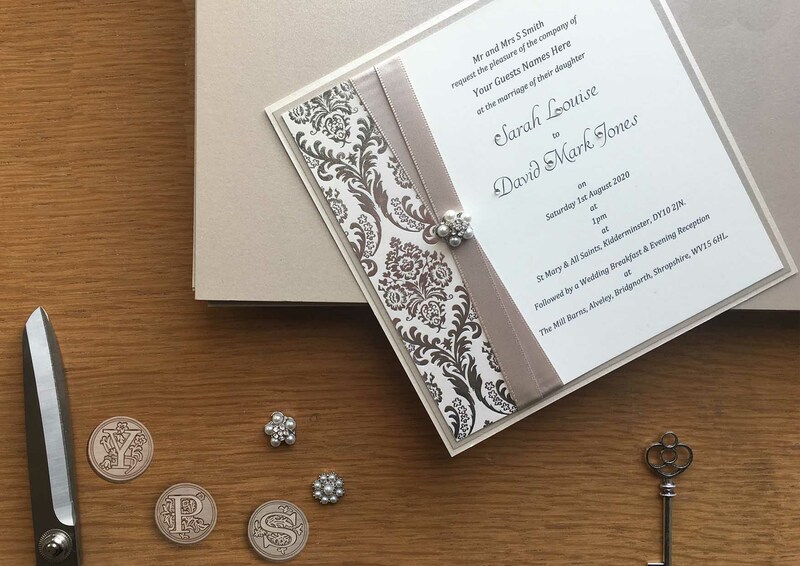 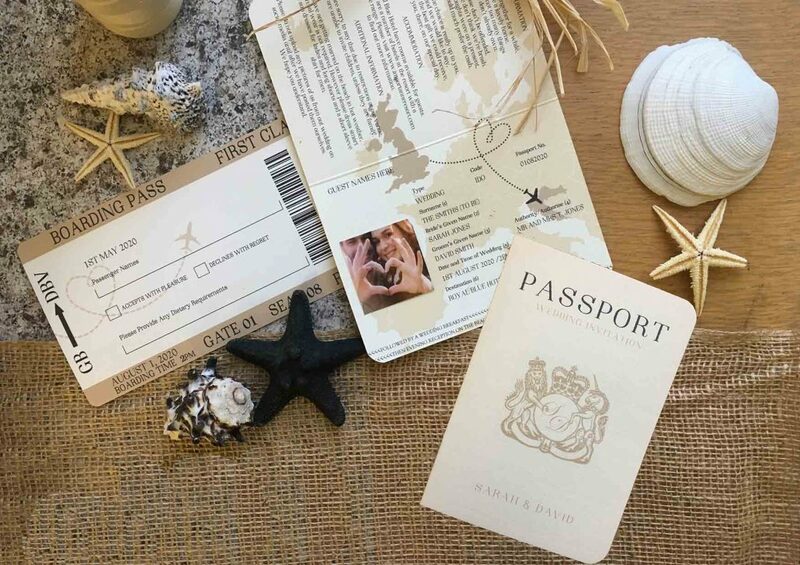 We know it is a privilege to help couples with one of the most important days of their lives, which is why we pay close attention to every detail and take the up most care when creating our designs. 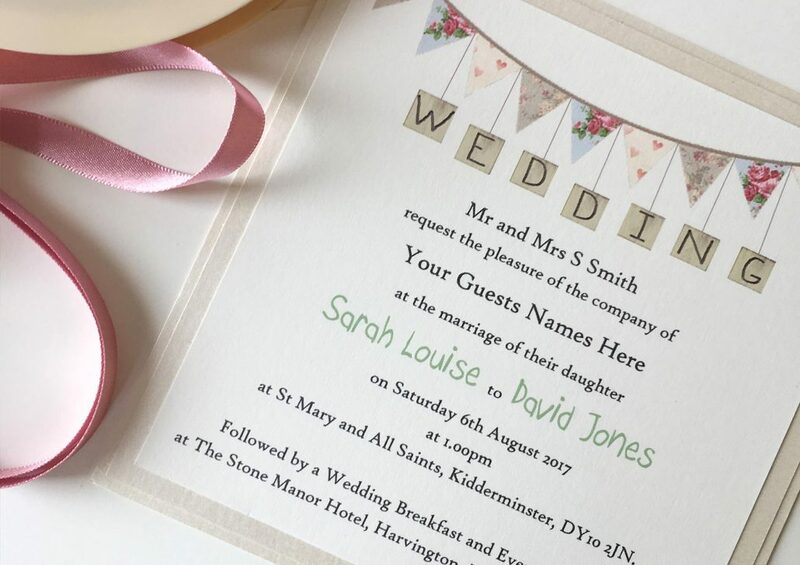 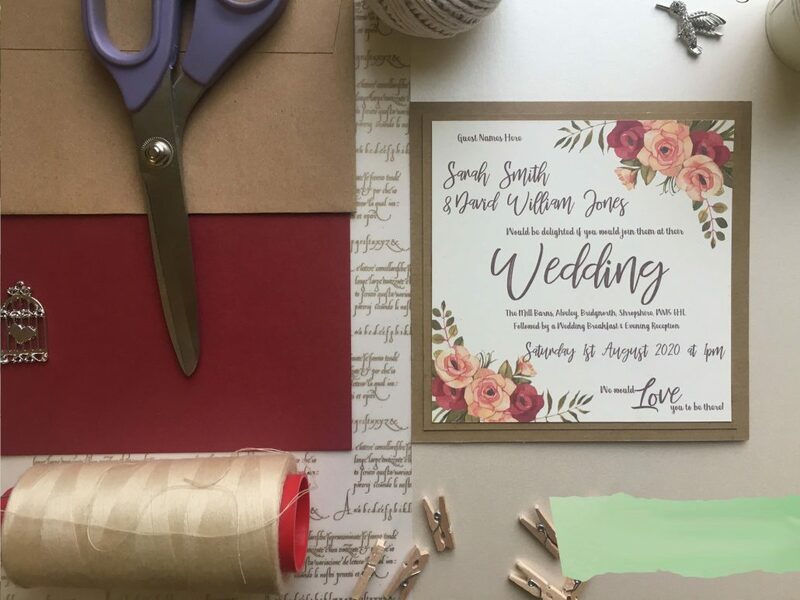 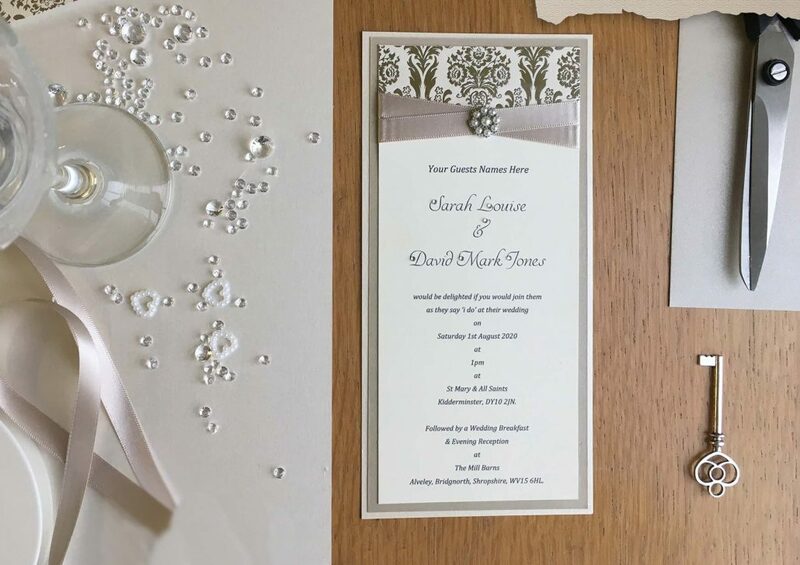 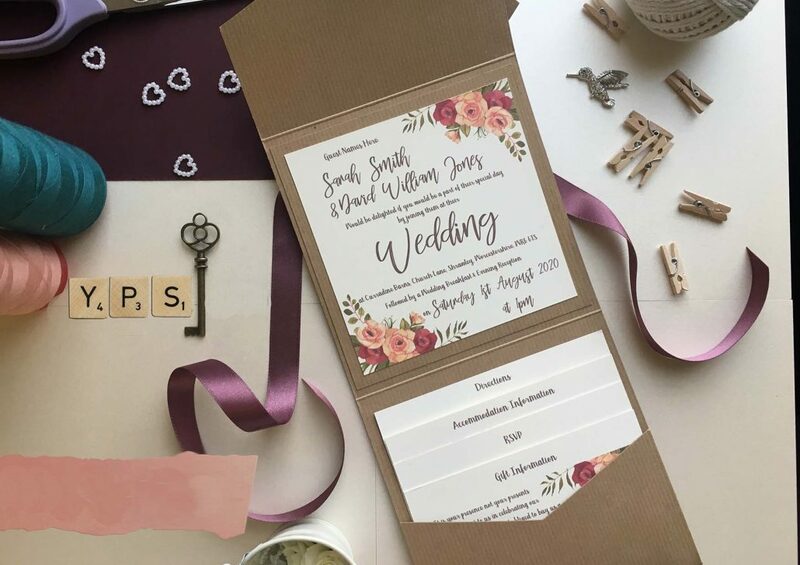 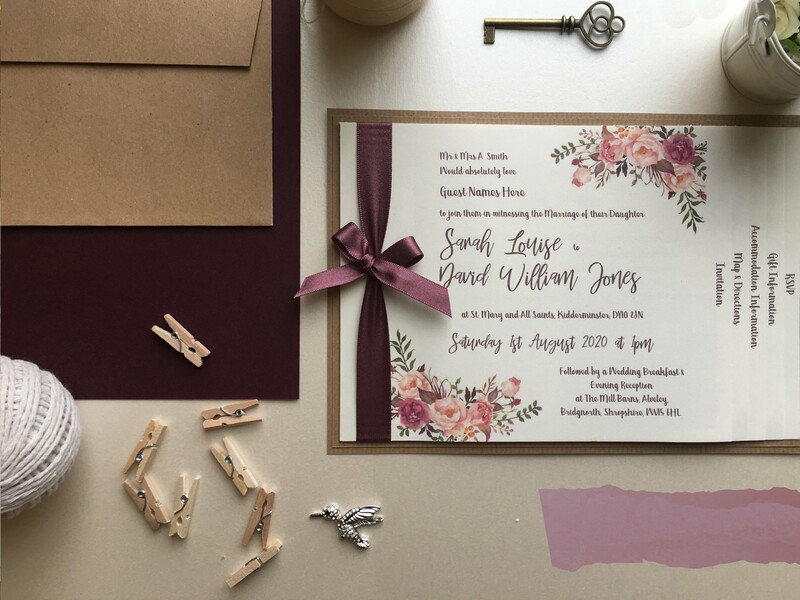 We offer a free consultation where one of our experienced designers will sit down with you and go through what you want for your wedding stationery and how you want it to look. We will go through themes, colours and decoration and discuss the design in as much detail as possible. 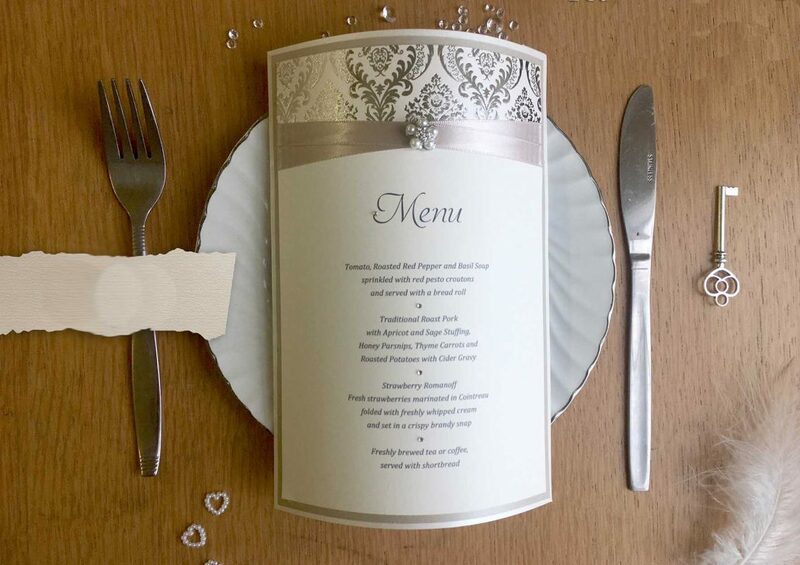 We will then give you a quote based on what was discussed, which you can choose to alter, accept or decline. You can order as much or as little as you like from us; there is no minimum or maximum order. 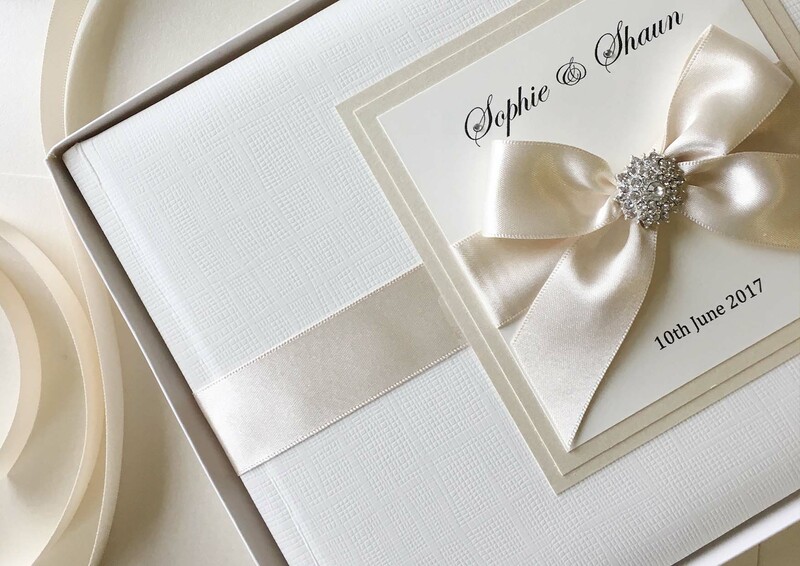 You will also receive 10% off any stationery order if you have purchased your wedding gown from our sister company Georgina Scott Bridal. Our couples are more than welcome to pop in and see us whenever they like and have the advantage of seeing what we produce. 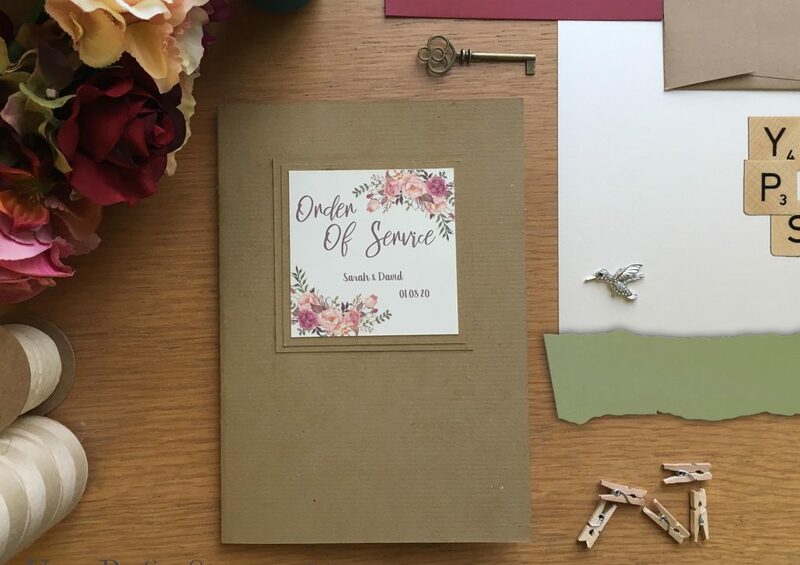 There is no risk of ordering off the internet where you don’t see the final product until it arrives at your door, only to find it wasn’t what you imagined. 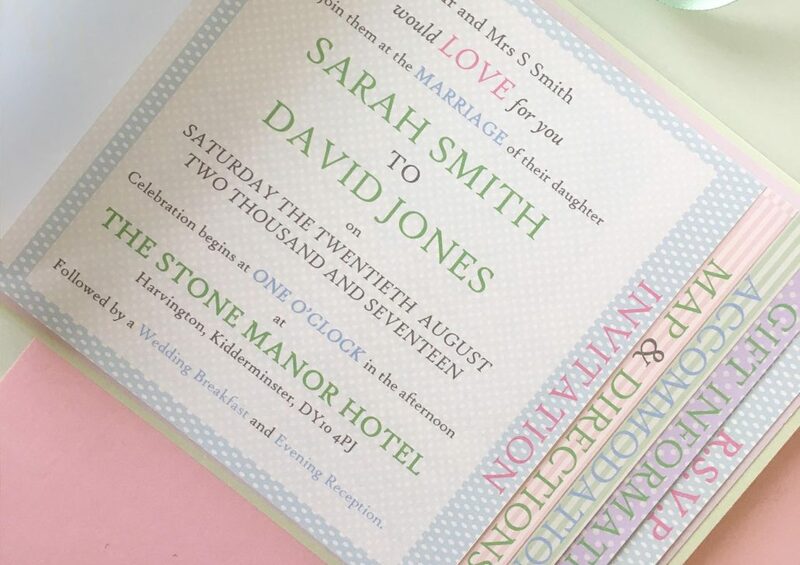 We keep in contact with you the whole way along and create free samples to ensure your designs are perfect. 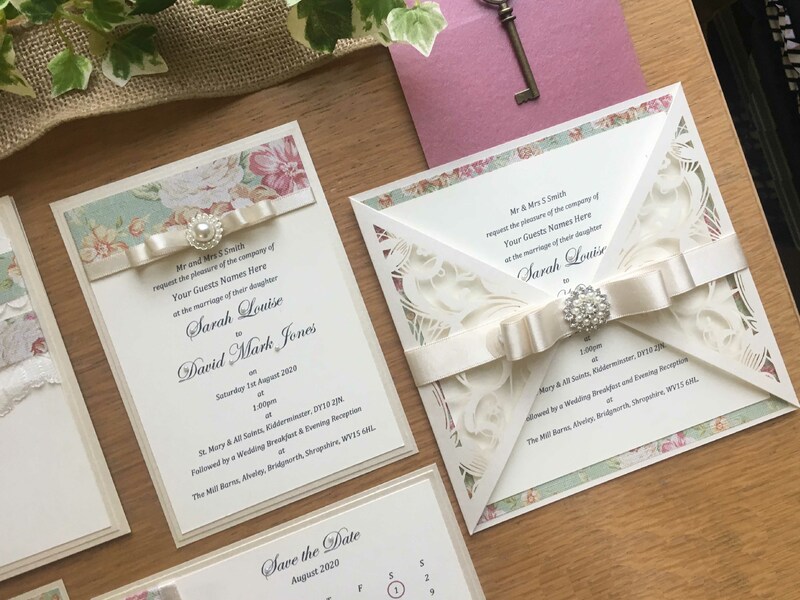 From rustic to vintage and from sparkling to elegant, from simple bows to eye –catching brooches, we can create a design to suit you.